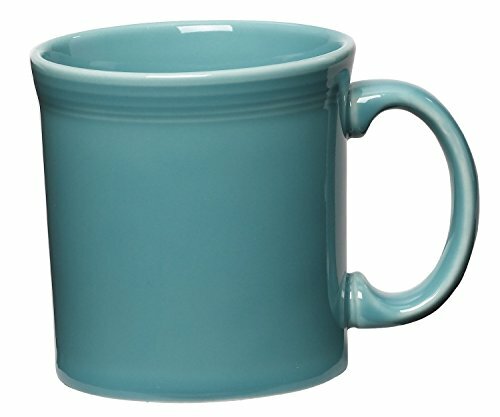 Fiesta 12-Ounce Java Mug manufactured by The Homer Laughlin China Company. America's largest domestic producer of dinnerware, and the sole manufacturer of all Fiesta dinnerware. All Fiesta pieces are Microwave safe, Oven-proof, Dishwasher safe, Freezerproof, Lead-Free, and Made in America with the implementation of many green practices. 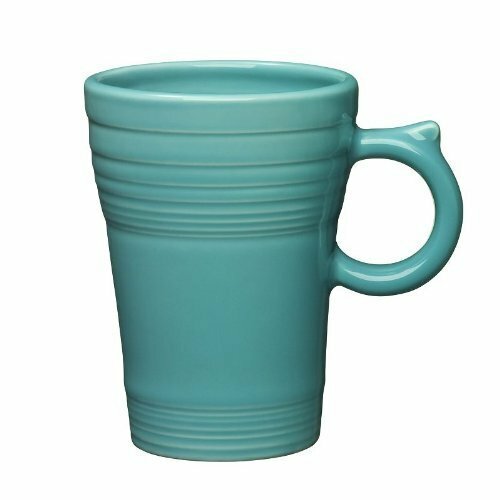 The very durable glaze is great for everyday use. Fiesta as a pattern has stood the test of time, and is typically passed down from one generation to the next. We have kept the pattern constant through the years so that you can count on us to be here when you decide to expand or change your collection. New pieces and colors are added every so often to keep things interesting. Currently, Fiesta is the most collected dinnerware in America. 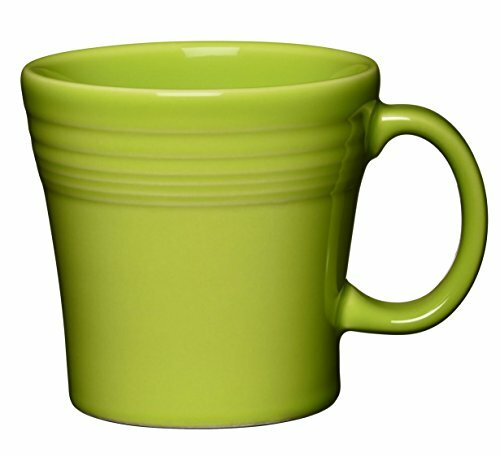 Celebrate your love of Fiesta Dinnerware with this java mug that makes for casual and colorful dining. The piece was made from durable, chip-resistant vitrified china and coated in a lead-free, non-porous glaze. Other coordinating accessory pieces sold separately. 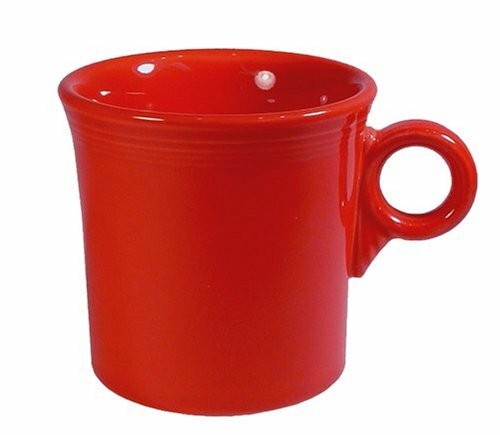 Fiesta Tapered Mug manufactured by The Homer Laughlin China Company. America's largest domestic producer of dinnerware, and the sole manufacturer of all Fiesta dinnerware. All Fiesta pieces are Microwave safe, Oven-proof, Dishwasher safe, Freezer proof, Lead-Free, and Made in America with the implementation of many green practices. 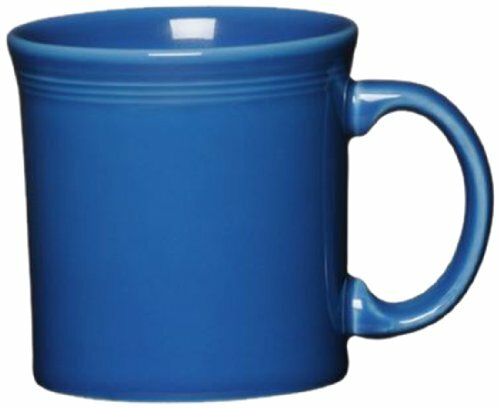 The very durable glaze is great for everyday use. Fiesta as a pattern has stood the test of time, and is typically passed down from one generation to the next. We have kept the pattern constant through the years so that you can count on us to be here when you decide to expand or change your collection. New pieces and colors are added every so often to keep things interesting. Currently, Fiesta is the most collected dinnerware in America. 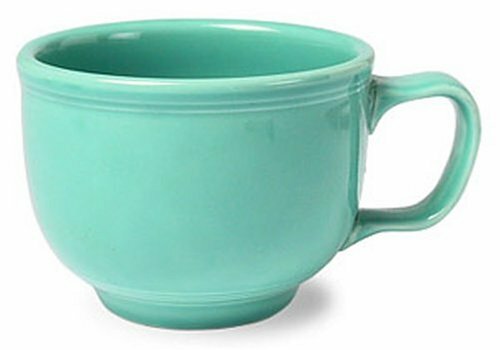 Fiesta 12-Ounce Java Mug manufactured by The Homer Laughlin China Company. America's largest domestic producer of dinnerware and the sole manufacturer of all Fiesta dinnerware. All Fiesta pieces are Microwave safe, Oven-proof, Dishwasher safe, Freezer proof, Lead-Free and Made in America with the implementation of many green practices. 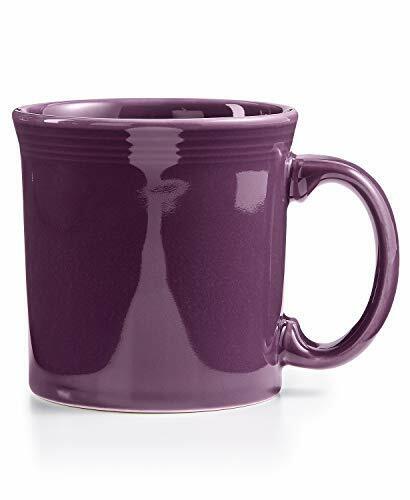 The very durable glaze is great for everyday use. Fiesta as a pattern has stood the test of time and is typically passed down from one generation to the next. We have kept the pattern constant through the years so that you can count on us to be here when you decide to expand or change your collection. New pieces and colors are added every so often to keep things interesting. Currently, Fiesta is the most collected dinnerware in America. Warm up your ready-to-drink Mexican cold brew and add a sweet treat on top!